Monday is the deadline to register. Virginians who aren't registered to vote but want to cast ballots in the March 1 presidential primary need to act fast. In Virginia, voters don't register by party. 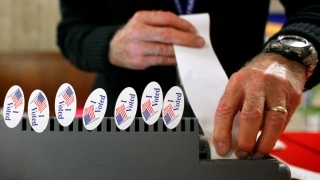 Any registered voter may choose to cast a ballot in either the Democratic or Republican primary. For weeks, it looked like voters in the GOP primary would have to sign a statement affirming their Republican affiliation. The plan drew criticism, and the State Board of Elections has rescinded that requirement at the request of the state GOP's governing body.